Visualize a data type's relationships and manage the data model by using the Data Visualizer on the Data Model tab of the Data Designer in App Studio. 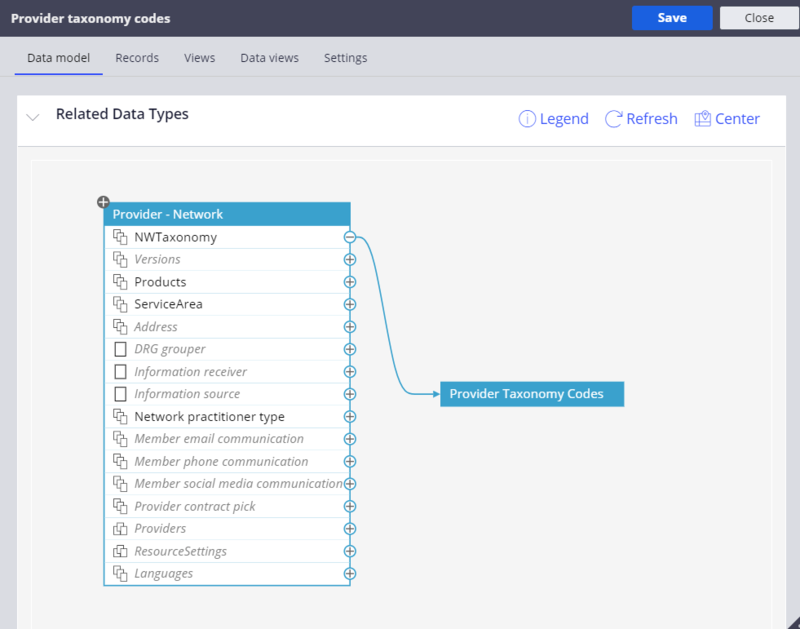 The Data Visualizer shows the relationships between the selected data type and its properties, and with the other data types in the application. By visualizing data, you can maintain and understand the effect of changes to your data virtualization. The following diagram shows a data visualization. For more information, see Data Visualization.